When the lineup of last year’s Cannes Film Festival was first announced, Nuri Bilge Ceylan’s latest was nowhere to be found. It was rumored that the vaunted Turkish director, whose 196-minute Winter Sleep won the Palme d’Or in 2014, did have a new film finished—but that its inclusion was dependent on him submitting a shorter cut. Eventually, The Wild Pear Tree, which clocks in at a not-exactly-brisk 188 minutes, was added to the festival’s competition slate, making it the longest film to contend for the top prize last year. If the hearsay was indeed true, then perhaps Cannes head honcho Thierry Frémaux decided that the film deserved our patience after all. Sinan’s entire conversation with the author, which is by turns compelling and single-mindedly unpleasant, tensely measured and openly hostile, runs about 15 minutes in total. It’s also fairly indicative of the film as a whole. Extending the more “literary” turn the director took with Winter Sleep, a film inspired by both Chekhov and Dostoevsky, The Wild Pear Tree is mostly composed of such dialogue-heavy passages, giving its longueurs the qualities of a second-rate chamber drama. Which is not to say that this very, very talky movie is bereft of other animating tensions. Often lauded for their compositional rigor and visual splendor, Ceylan’s films have long operated under the sign of Andrei Tarkovsky, an allegiance that the director has never been shy about. (Andrei Rublev and Mirror topped his 2012 Sight And Sound ballot for the greatest films of all time.) 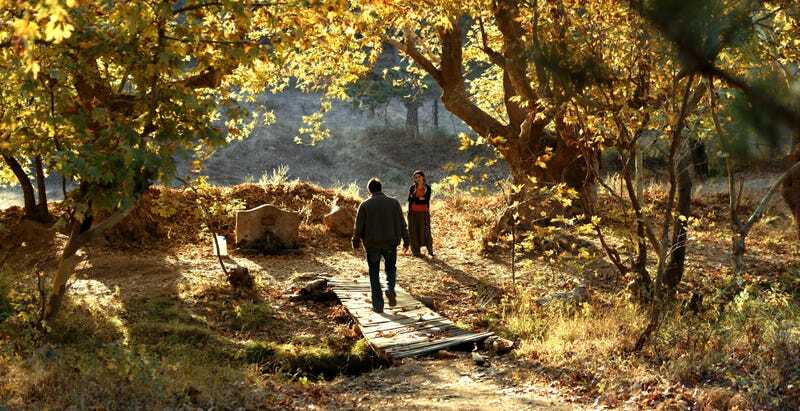 The Wild Pear Tree doesn’t ever reach the magisterial heights of, say, Once Upon A Time In Anatolia—the digital cinematography of this latest, courtesy of cinematographer Gökhan Tiryaki, is too often lax and shakily deployed. But its intermittent pleasures, particularly Sinan’s run-in with an old flame, an encounter that’s all windswept movement and sun-dappled, autumnal texture, are difficult to deny. The core of the film, though, is the young writer’s prickly relationship with his father, in whom he sees something of his not-so-bright future. “The young should criticize the old. That’s how progress works,” his father tells him toward the end. Accordingly, The Wild Pear Tree is mainly concerned with the transition between the old and the new, and the possibility (or futility) of reconciliation between the two. The film ultimately isn’t a finely observed two-hander in the manner of 2002’s Distant; Sinan’s rambling conversations with peripheral characters too narrowly underline his bullish pride. But the scenes between Demirkol and Cemcir anchor the film well. Both father and son are openly antagonistic toward each other, but that’s also because they know that, at bottom, no one else understands them better. It’s hard to argue that the film’s three-hour-plus runtime is strictly necessary to draw that point out. 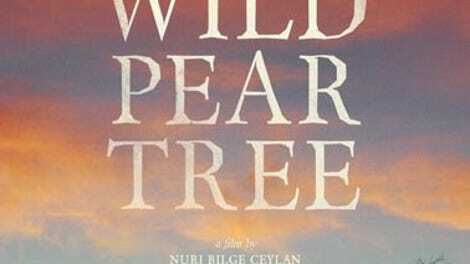 But at its best, The Wild Pear Tree captures not just the feeling, but also the process of coming to terms with one’s place in society—and that, if nothing else, requires patience.